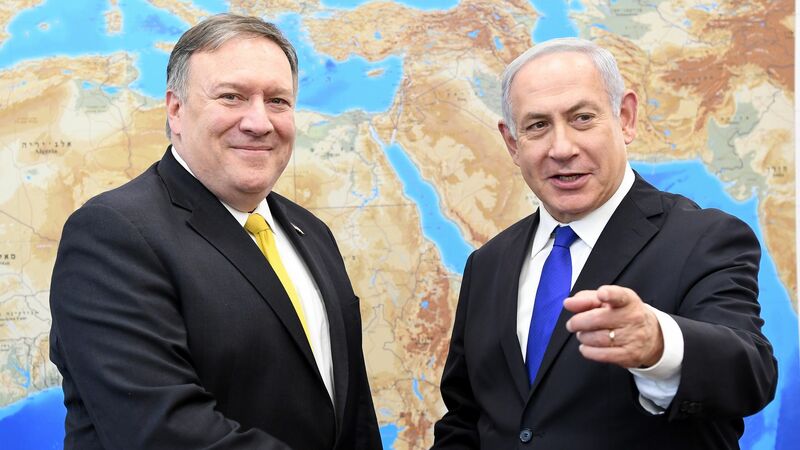 Israeli Prime Minister Benjamin Netanyahu spoke on the phone today with Secretary of State Mike Pompeo and presented him with Israel's demands and interests for any future deal between the U.S., Russia and Jordan in Southern Syria, an Israeli official tells me. Why it matters: The Syrian army is about to start a military operation against rebels in Southern Syria near the Israeli and Jordanian borders, which would violate a ceasefire deal signed by the U.S., Russia and Jordan last July. The Russians want to update the deal because of the Syrian army operation. Israel, the U.S. and Jordan are open to the Russian proposal but want to make sure it will include a firm commitment from the Russians that Iranian forces, Hezbollah and Shia militias will not take part in the operation and will be completely removed from the areas close to the Israeli and Jordanian borders. What to watch: Russia, Jordan and the U.S. are trying to set up a trilateral meeting to start negotiating a new deal. Pompeo's call with Netanyahu was part of a series of calls he made on the issue today. Pompeo also spoke with Russian Foreign Minister Sergey Lavrov and Jordanian King Abdullah. Israeli Minister of Defense Avigdor Lieberman will meet tomorrow in Moscow with his Russian counterpart to discuss the emerging southern Syria understandings.